McEvoy ahead of milestone match Ben McEvoy spoke to the media this afternoon ahead of his milestone outing in the brown and gold. Ben McEvoy is set to play his 100th game in the brown and gold when he runs out against St Kilda on Sunday. Hawthorn ruckman Ben McEvoy is set to play his 100th game in the brown and gold when he runs out against St Kilda on Sunday. Coincidentally, McEvoy will bring up the milestone against his former side, having crossed from the Saints in the 2013 trade period. The 29-year-old has since proved a vital member of the Hawks best 22, playing a pivotal role in the club’s 2014 and 2015 premierships. Hawks veteran Jarryd Roughead spoke this week about the value Big Boy has brought to the club since his arrival. “When we got him across, I think it was a bit of a shock that we were able to get him in the trade period,” Roughead told SEN on Wednesday. “He’s playing his 100th game against his old club this week, he’s in the leadership group and he’s a two-time premiership player. McEvoy is currently amidst some of the best form of his career, starting the season averaging a career-high 16.3 disposals and four contested marks per game. 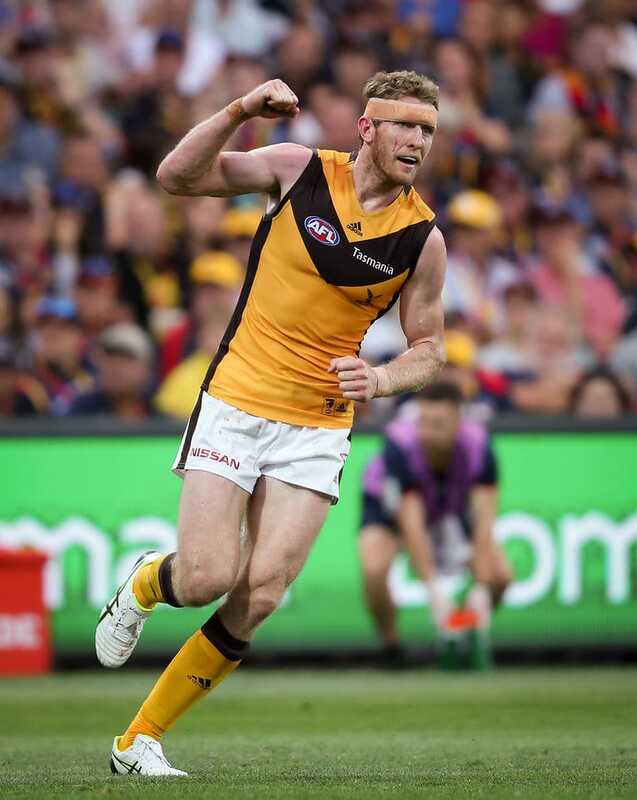 Hawthorn will hoping McEvoy can maintain his run of form this weekend when it looks to record its third win of the season over St Kilda at Marvel Stadium on Sunday.